Have you made it out to the Newport Beach Marriott Hotel & Spa to catch one of the sensational Sunset Jazz at Newport summer concerts? The series runs through Sept. 19, which means there are only five evenings of swinging jazz left in this annual musical ode to classic jazz. 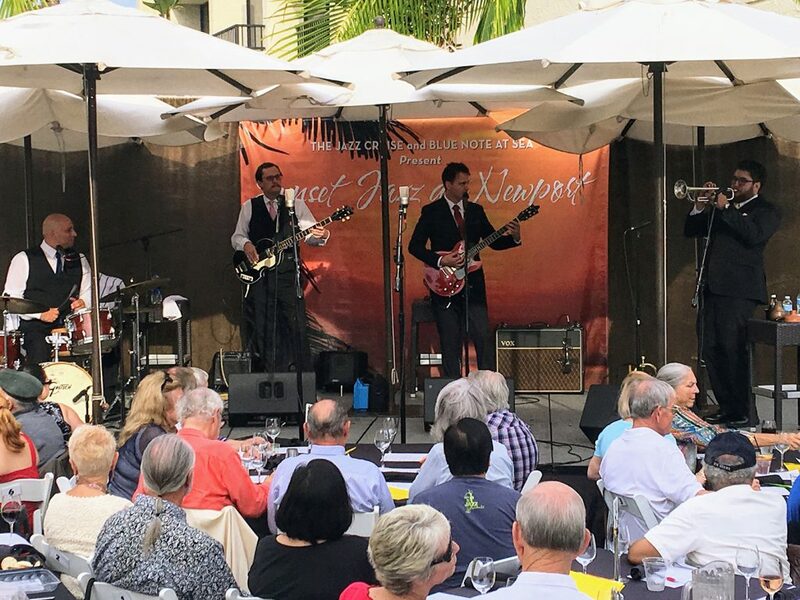 Held every Wednesday evening in the Marriott’s lovely Rose Garden (and in the Seaview Terrace on Aug. 22), Sunset Jazz at Newport features a variety of jazz ensembles and vocalists, many of whom are the most popular artists from the Newport Beach Jazz Party and The Jazz Cruise. 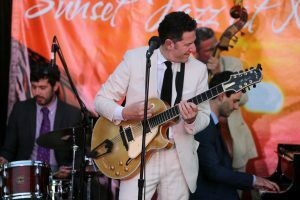 The 2018 Sunset Jazz at Newport continues on Wednesday, Aug. 22 with the John Pizzarelli Trio. Making his sixth return to Sunset Jazz at Newport, John has enjoyed a three decade career as a jazz guitarist, vocalist and songwriter. 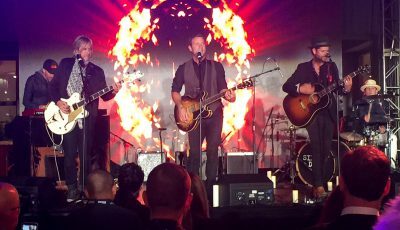 I’ve seen John perform and have to agree he’s fun to watch, musically expressive and thoroughly enjoyable. Joining Byron in his eighth summer jazz performance is jazz organist Bobby Floyd, who is a featured player on Byron’s latest CD. 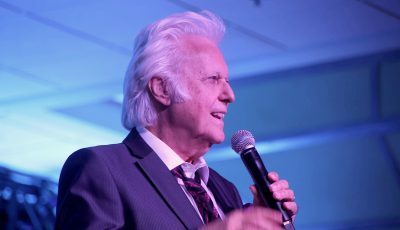 On Sept. 5 it’s an evening with Billy Mitchell and his eight-piece band, with guest vocalist Bili Redd. Billy appeared in Clint Eastwood’s film, “Bird,” and also in “Jazz,” an award-winning docudrama. 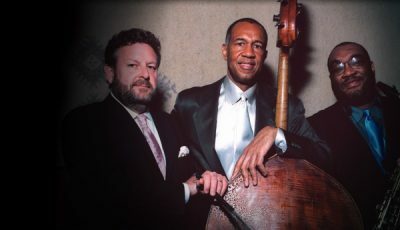 He is currently performing with the Los Angeles Jazz Orchestra Unlimited under the direction of legendary jazz guitarist, Kenny Burrell, Dr. Bobby Rodroguez and Charlie Harrison. Bili Redd is an arranger, composer, lyricist, bassist and vocalist. A two-time Grammy Award winner, Bili has worked with Quincy Jones, Sarah Vaughn and George Benson. Barbara Morrison makes her annual Birthday appearance on Sept. 12 (her actual birthday is Sept. 10). Celebrating her special day has become a tradition at Sunset Jazz at Newport. 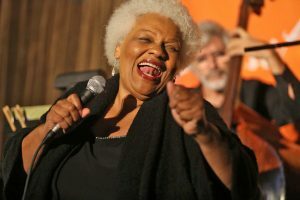 She is indeed a fan favorite, and an interpreter of Jazz, Blues, Gospel and Pop songs. Joining Barbara will be saxophonist Rickey Woodard, another fan favorite. 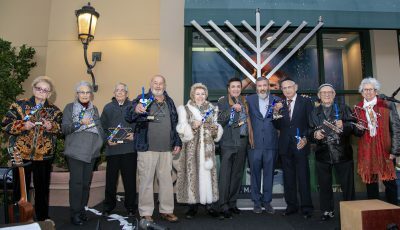 Returning to help Barbara celebrate will be all-stars Stu Elster on piano, Richard Simon on bass and drummer Clayton Cameron. Closing out the Sunset Jazz at Newport season on Sept. 19 is the Tom Kubis Big Band with a show called “Live and Unleashed.” Tom’s band consists of 17 of LA’s best jazz musicians, conducted by composer/arranger Tom Kubis. Individual seats: $28 General; $46 Blue; $57 for each Wednesday except John Pizzarelli Trio and The Tom Kubis Big Band: $37/49/59.